Authentic vector illustrations of birds. 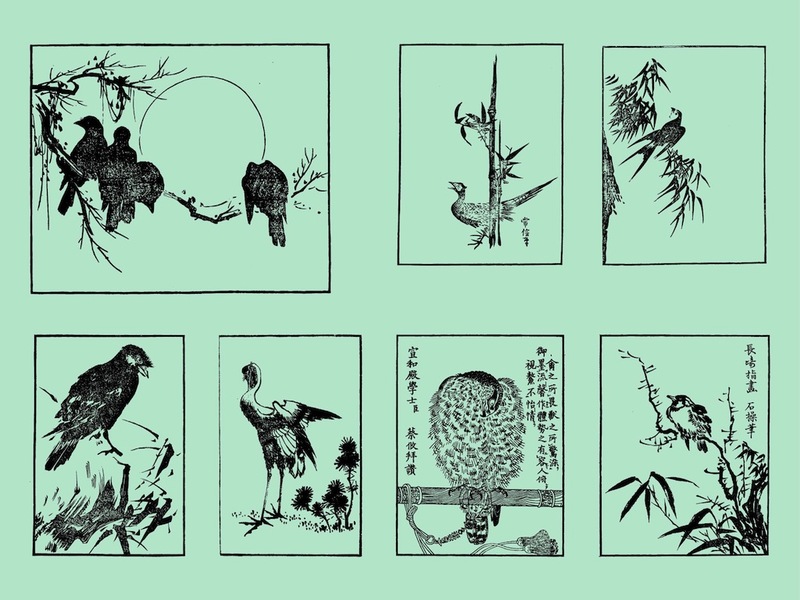 Japanese wood engravings of various animal species. Hand drawn illustrations labeled with hieroglyphs. Free vector bird illustrations for all your Japan, Japanese, nature, animals and fauna projects. Download bird engravings for greetings cards, posters and art prints. Tags: Animals, Engravings, Hand Drawn, Hieroglyphs, Japan, Japanese.